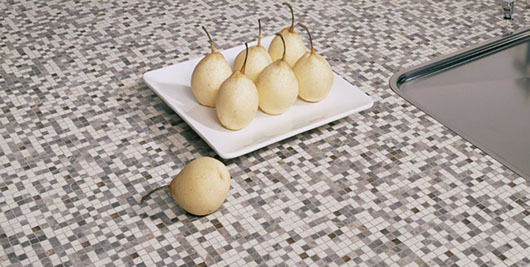 We manufacture individualized kitchen counter mosaic. 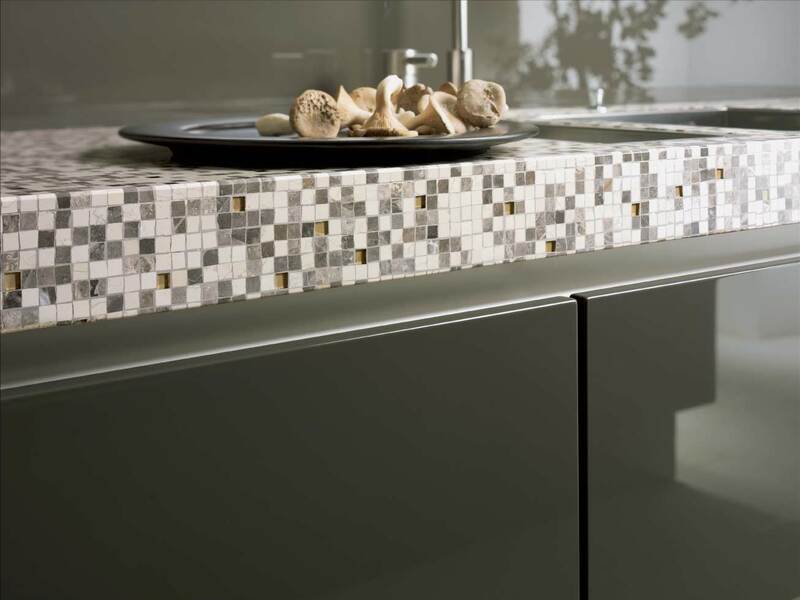 Colours and materials can be choosen from 100 natural stones and from about 100 opaque und transparent glasses. This allowes a lot of custom-made scopes for design. We collaborate also with funiture industry`s designer. 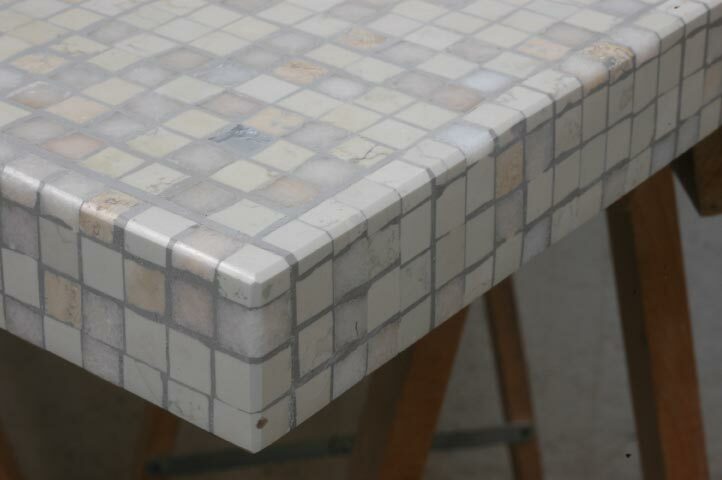 Our surfaces for the kitchen counter mosaic are manufactured to measure. 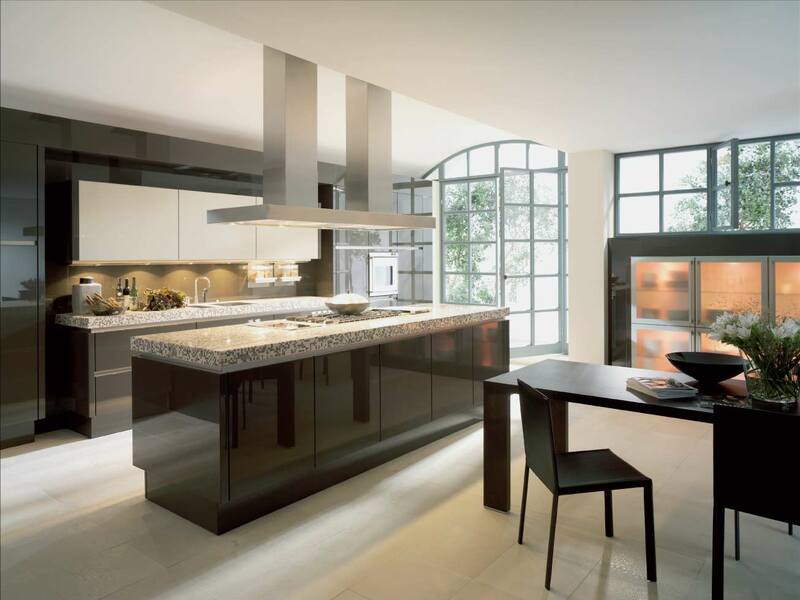 Kitchen Counter top made by cosmomusivo for SieMatic.